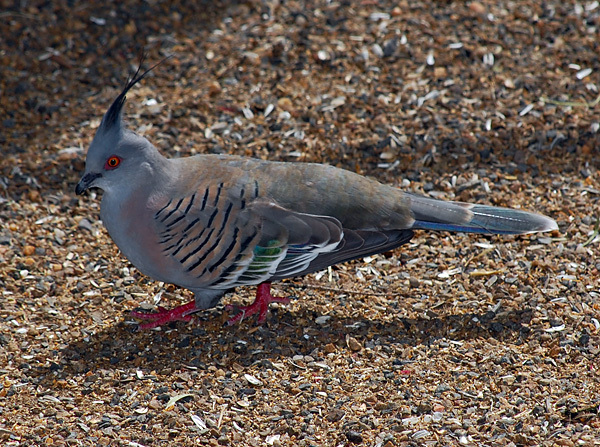 The Crested Pigeon is often seen in the lower Blue Mountains, and in much of Sydney. 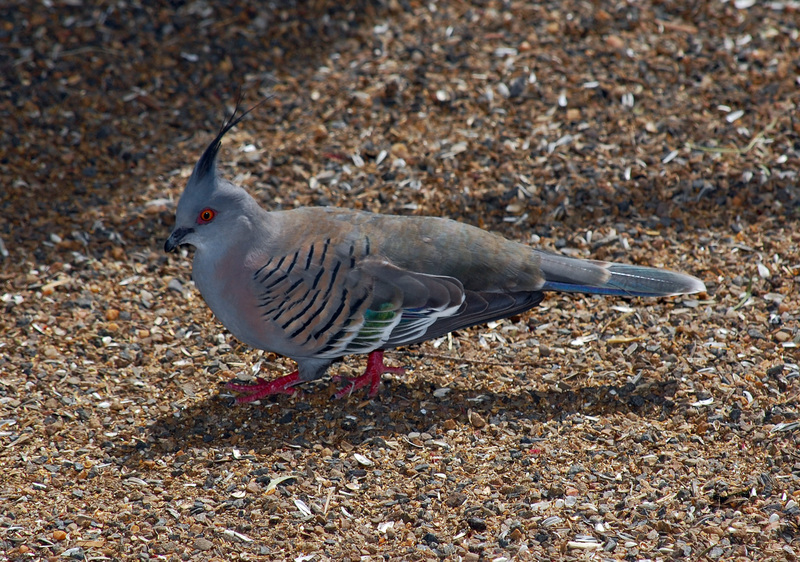 It is a native pigeon, unlike the common feral pigeon (also called the Rock Dove) which it looks a little bit like (apart from the obvious crest on the top of its head). 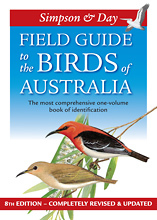 Field Guide to the Birds of Australia, Nicolas Day, Ken Simpson, Peter Trusler.This is known to birdwatchers as "Simpson and Day". 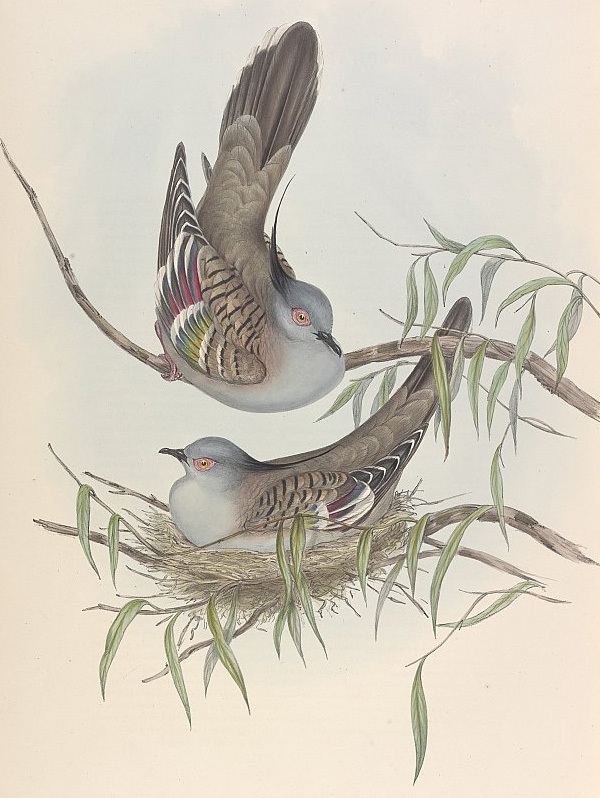 I like the pictures in this one the best out of all the major field guides. 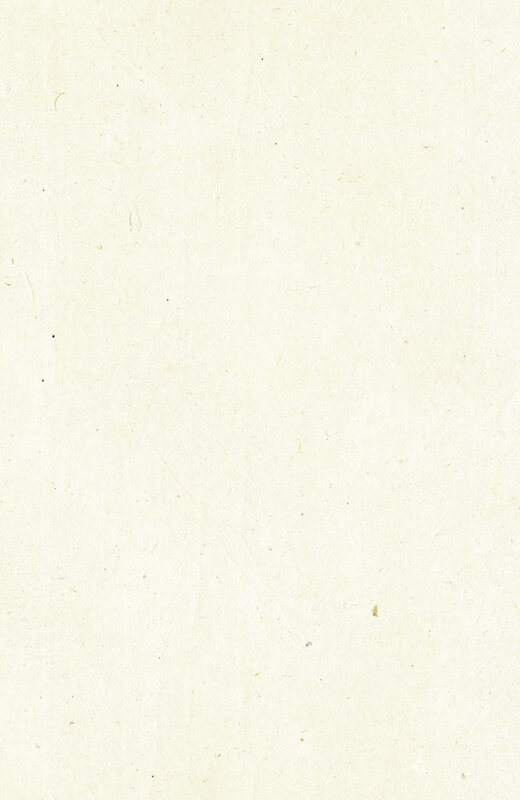 The information is still very highly regarded compared to most of the other guides. 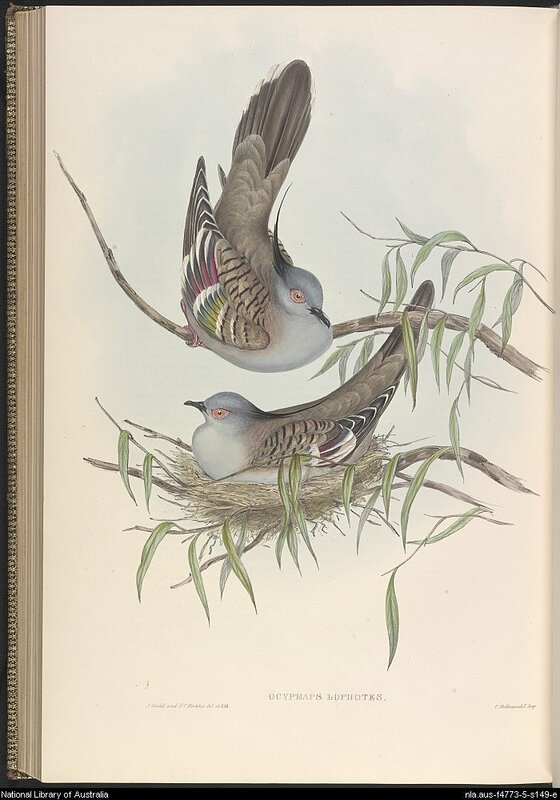 Many serious birdwatchers think "Pizzey and Knight" (listed here) is the best though. I bought this one since I liked the pictures so much I figured (correctly) that I would spend more time looking through it. I feel that I made the right choice since I love the pictures in this one so much. I have the 6th edition, the current one is the updated version of the 8th edition, which has a different colour cover to the original 8th edition with a black cover. I'm not sure why they haven't called this the 9th edition.